Losing driving privileges as a teen is simply a bummer. Losing driving privileges as an mature adult is frightening. Schwind said when somebody loses their ability to be mobile and independent they could slip into depression. 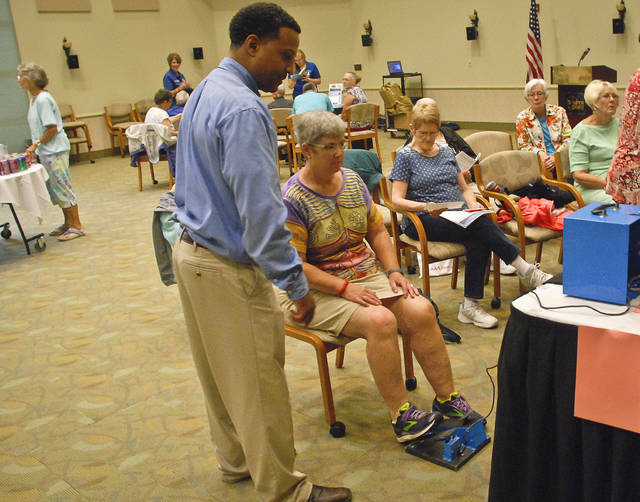 SourcePoint hosted an AAA mature driver workshop Thursday to help educate seniors about staying safe behind the wheel. 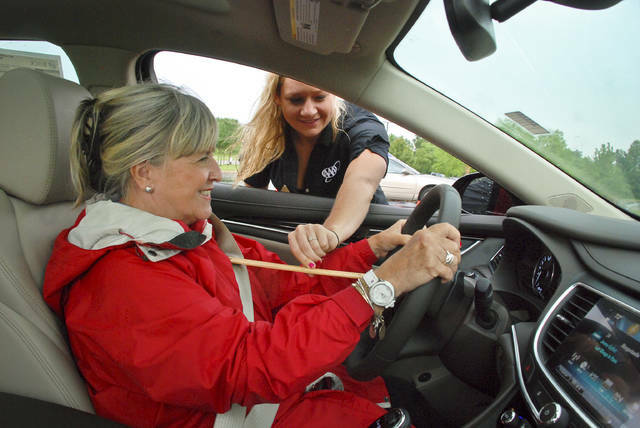 Seniors began the seminar in the SourcePoint parking lot getting fitted properly at the right distance and height behind the wheel of a vehicle. Inside they had a chance to check their braking reaction times with an electronic device provided by AAA. Schwind said AAA has conducted the workshop for many years. In the past she said the workshops were several hours long and included lunch. She said the small group format Thursday at SourcePoint was a first. Schwind said people seem to get more out of the workshop with the smaller groups. Thirty people registered for the seminar which Schwind said was pretty typical. She said about 25 did show up but the rain must of some away. Davis said she was also looking for insights for her 78-year-old mother’s safety as well. One other option for mature adults is to ride public transportation. Berry said SourePoint has partnered with DATA Bus sponsoring eight trips a month at $4 each way to go anywhere in Delaware County. She said two of the trips can be outside the county if needed. This entry was tagged DATA Bus, delaware, Sourcepoint. Bookmark the permalink.